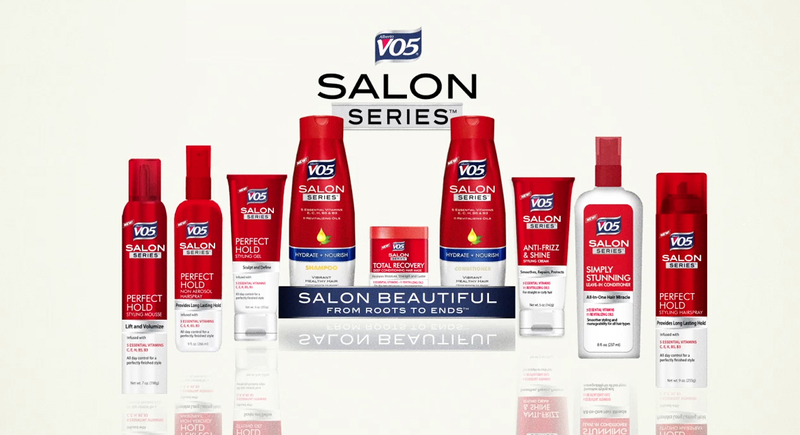 VO5 Salon Series™ professional shampoos, conditioners, hair styling and treatments are vita-rich with a unique blend of 11 lightweight, 100% natural vitamin oils and 5 Essential Vitamins™ to fortify and moisturize hair for salon beautiful results from roots to ends™. I have always been a huge fan of V05. I was excited to hear about there new products and was delighted to try them out!. After using the shampoo and conditioner my hair felt so clean and even looked like I went to a salon and had someone wash it. It even felt that way too. My hair felt smoother, felt cleaner, and had that perfect shine with out any oils left behind that some of my shampoos do. I love VO5 ‘s new product line and I am completely satisfied with the them! I will defiantly be using them all the time! The lovely folks at VO5 has offered for one reader to win a Gift Basket with the all the VO5 Salon Series products! To enter please use the rafflecopter below. You must be 18 or older. No P.o. Box. Open to those in the U.S. only. I heard about it the other day standing in line at Sam’s but I have not tried it yet. I haven’t tried the new VO5 line of products yet, but can’t wait to try them! yes , I have heard of them! I love VO5 products. Congratulations to the winner, I am sorry I missed it. I think this and Pantene are the only shampoos and conditioners that actually get my hair silky and smooth. I won a contest with V05 and I got a years worth of coupons for VO5 and Zest products!! I love these products. I’ve been using it for a while and the conditioner actually lets me comb through wet hair without tangles.